Noida-based online auto services startup GarageOnRoad has raised an undisclosed amount in a seed round from Gaurav (Jerry) Gupta, senior vice president at reinsurance multinational Swiss Re, a company executive told VCCircle. The startup will use the funds to enhance its technology and operations. It will introduce features like on-demand car services, cleaning etc, founder Prateek Ranjan said. The company is also rooting for investments to push out franchisees in other cities, Ranjan hinted. Besides Gupta, Rakesh Bhatia, entrepreneur and chief strategy officer at GarageOnRoad, will also invest in the startup, Bhatia said. Gupta has also committed to fund the company for another 6-8 months, he added. Gupta heads the innovation and venture arm at Swiss Re. He was previously with Amazon, where he led the programme management vertical. Prior to Amazon, Gupta created and managed the innovation and venture groups at US-based Liberty Mutual Insurance. He has conducted due diligence on transactions worth over $3 billion in aggregate value and has raised over $25 million in private placements. In addition, he has served as an advisor to several startups in the US and Spain. Bhatia, who is an alumnus of IIT Roorkee, has over 18 years of experience in various domains like telecom, RFID exports, and education. He ran his own venture in exports, where he worked with retail chains like Carrefour. Besides, he also serves as a consultant and mentor to education companies and startups. Run by Tescont Maintenance Pvt. Ltd, Ranjan founded GarageOnRoad in 2016 as a mobile app to provide roadside assistance to users without any subscription charges. It works with a network of garages to provide assistance round the clock with one-time booking charges. The company has more than 5,000 registered users and over 1,100 mechanics, Bhatia claimed. Other ventures in the online automobile servicing space that raised funds include after-sales car service provider Pitstop, which in September raised $1 million (Rs 6.5 crore) in a pre-Series A round from Blume Ventures, Singapore-based Goldbell Group, and a group of angel investors. In August 2017, media reports stated that car repair and automobile servicing startup GoMechanic raised a seed funding round from Orios Venture Partners. 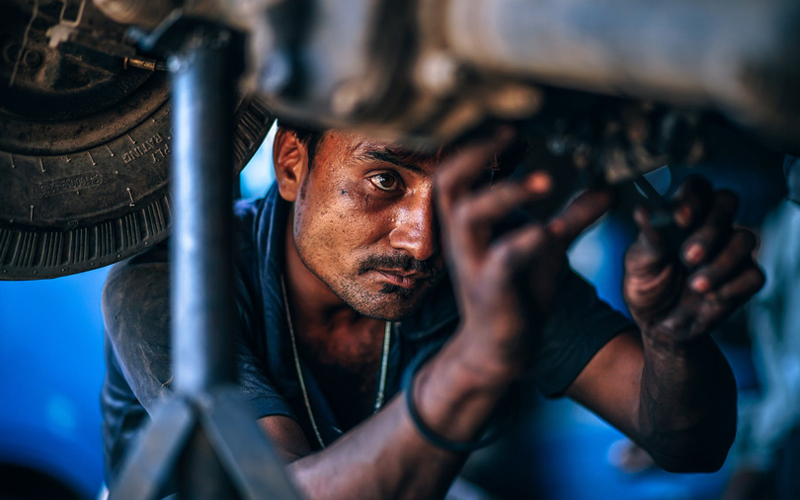 In June this year, automobile parts marketplace SparesHub.com raised Rs 2 crore ($311,000) from a clutch of investors including The Chennai Angels, Singapore-based Anthill Scale Ventures, US-based Esvee Technologies Inc, and Inc95 Consulting. In March, online car servicing platform BookServicing raised Rs 20 lakh ($30,000) in seed funding from the National Science and Technology Entrepreneurship Development Board (NSTEDB), a government arm that promotes tech enterprises. In February, automobile services platform GoBumpr raised $300,000 (Rs 2 crore) in a round led by The Chennai Angels.